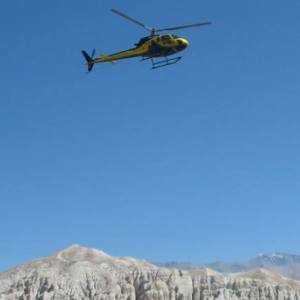 Muktinath Pilgrimage Heli Tour and Trek is a perfect trip to make your holiday outstanding. Muktinath is a renowned pilgrimage destination in Nepal for Hindu and Buddhists. However, if you love mountains and exploration of the Hindu and Buddhist deities, you will enjoy brilliantly. 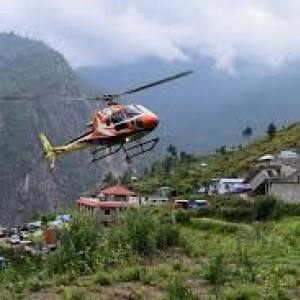 This heli tour to Muktinath is a trip to the little paradise, a place to get salvation and wash out all your sins. The Muktinath temple is located at 3800 meters, just at the base of the Thorong La pass in the Mustang region. 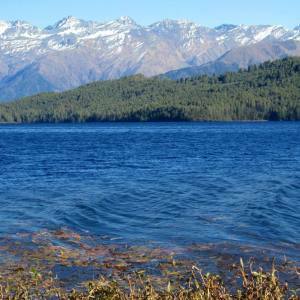 You will get the magnificent Himalayan sceneries of Mt. Annapurna, Dhaulagiri, Himchuli and the surrounding panoramas during the heli tour and trek to Muktinath. So, it is aptly called Muktinath heli trek. You will take a walk to the temple and its surrounding and explore the hidden cultural facts. Once you fly from Pokhara, the Himalayas cheer at your attendance and landing at Muktinath, you pay your homage; take a bath on the 108 water sprouts, take abundant photos and fly back to Pokhara. 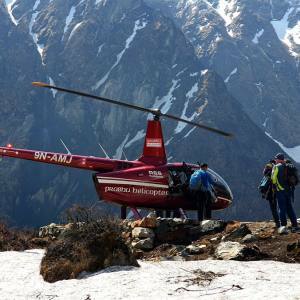 If you do not have several days to trek, you will be highly benefited to do a heli trek to Muktinath. 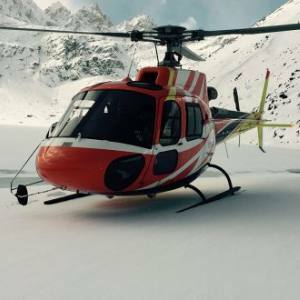 Please, contact Nepal Kameleon Holidays for the perfect helicopter tours in Nepal and get it in the reasonable price. Day 01: Fly from Pokhara to Muktinath and vice versa. Day 01Fly from Pokhara to Muktinath and vice versa.You have two options. One is flying directly from Kathmandu by helicopter. (Kathmandu-Pokhara-Muktinath-Pokhara-Kathmandu. 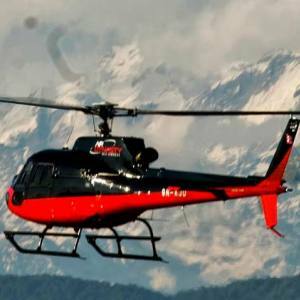 Another is to take a flight from Pokhara to Muktinath to Pokhara.